Craigslist is a great place to make some money by selling things you no longer need. After years of buying and selling on Craigslist, I've learned a couple of tricks to make the transaction go smoother. Price: Do your research before deciding on your list price. Look for similar items on Craigslist so you understand your competition. If you price your item too high, you will get very few leads. Price it too low, and you will miss the opportunity to maximize the sale. You may want to mention the original retail price to help prospective buyers get an idea of the savings, but don't rely too much on this tactic. The second hand market is very different from retail. If you are selling mass market items, like Ikea furniture, you will have plenty of competition, and the only way to differentiate your item is through price. Pictures: A picture is worth a thousand words, and pictures are even more important now that Craigslist includes thumbnail images on their listing pages. Personally, I skip listings with no pictures even if the description is detailed and complete. Be sure to take good pictures from multiple angles. Also include pictures of any damage so prospective buyers will enter the transaction with their eyes wide open. You don't want any undisclosed flaws to be an opportunity for the buyer to make a lower offer. Description: Be as complete and accurate as you can. For example, if you are selling furniture, be sure to include the measurements. If you are selling electronics or computers, include all the specs. Be honest and disclose the true condition of the item. Note any damage or flaws. Prospective buyers will appreciate the complete description. The last thing you want to do is mislead the buyer who may have traveled quite a distance to view your item. Contact information: I prefer to use Craigslist anonymous email system for initial contact to protect myself from spam. I only give out my address or phone number when I know I have a serious buyer who is ready to schedule a viewing. Respond quickly: Given the volume of activity on Craigslist, chances are that buyers are inquiring about many other items in addition to yours. Respond quickly to help your item stay fresh in their minds. A timely response will help spur them into action. First come first serve: If you have a popular item for sale, you will get many inquiries. Some people with scheduling conflicts may ask you to "hold" the item so they can view it later in the week. My first priority is to get the item sold asap. It's fine if they can't come immediately to view the item, but I reserve the right to sell it before their appointment if another customer is more proactive. Show around your schedule: I've had many great transactions on Craigslist, but I've also had people flake out on me and never show up as promised. After learning this the hard way, I now schedule showings that are convenient for me. For example, I tend to show items in the evenings when I know I will be home, so if they don't show up, I'm not inconvenienced in any way. If someone really wants the item, they will find a way to work around your schedule. Be prepared to haggle: Don't get insulted if someone offers you a lower price. That's the nature of the secondhand market. If I'm more interested in getting rid of something instead of making money from it, I will negotiate a lower price. If I know I have priced the item fairly and will eventually get the full price, I will hold out for a better offer. Cash only: I only accept cash. I will not accept checks, wires, money orders or Paypal payments. I want a clean transaction with no chance of fraud. All sales final: I am very accurate and honest with my descriptions. I point out every flaw at all my viewings so the buyers knows exactly what they are getting. There shouldn't be any questions or ambiguity about the item at the end of the transaction. 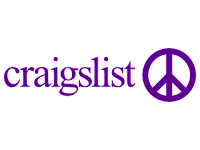 Safety: Craigslist had some bad press with fraud and theft. Some people feel safer conducting the transaction in a public place. Since I sell lots of furniture, I have no choice but to show items at home, so I make sure to have my husband around during the showing. Learn more safety and scammers on Craigslist. I've made a lot money selling on Craigslist. It's a highly effective platform if you take note of all the tips. Everyone I have met through Craigslist has been kind and polite. Treat your customers the way you would like to be treated, and you will have a positive transaction. Most importantly, use common sense and trust your instinct.